I must admit: I've been slacking off with my knitting until just recently. Over the past month I've started and finished new projects, and just plain finished old projects. Out of an old queue of several WIPs I'm down to just one more WIP. I feel like I can take on another new project, and with the Frolic tomorrow, I'll be jumping for joy with the prospect of being able to start a new project. 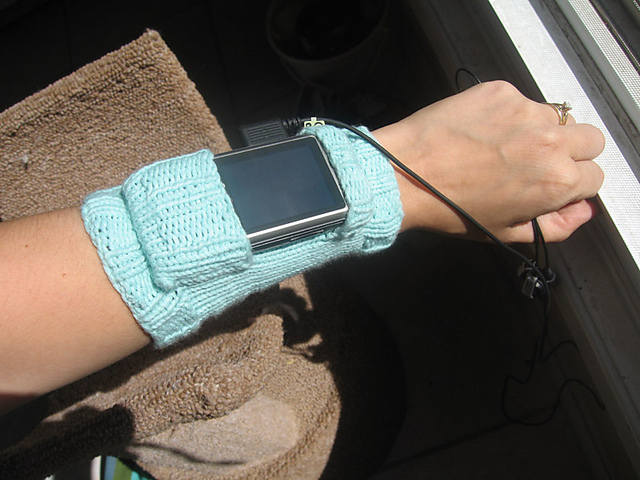 I had taken up running all summer long and needed a good solution for my phone. This was meant for an iPod but it fit my phone at the time very nicely. Did the job! Stash busting at its best. 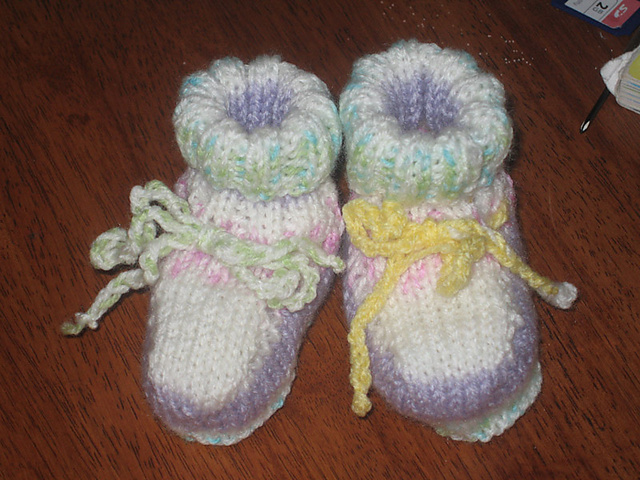 I used some of a skein of Naturally for these. Tweed works very well for fingerless gloves. I knitted this for my cousin who had a baby early this year. It took about a half to 3/4 of a skein of Cascade Eco wool. It was soft and adorable. Very very fast knit, too. Recommended if you have little time to knit for a little one. 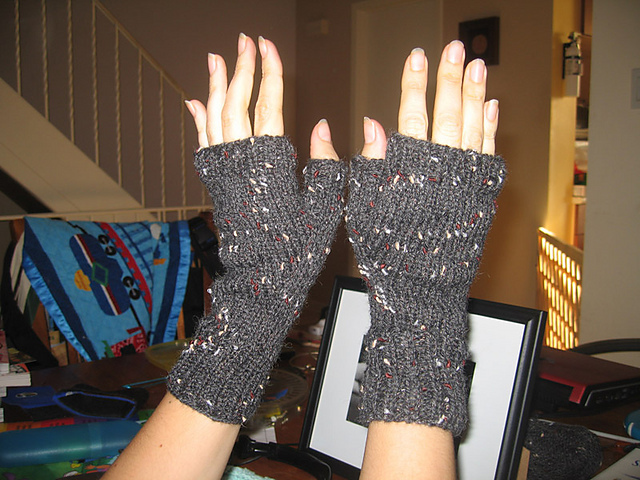 My friend, Talen, who lives in Australia was really hoping to get a hand-knit item from me. It was his birthday just a couple of days ago, so I started early in the year to diligently knit him a scarf. A nice, long, scarf. Before blocking, this sucker was seven feet long, and after, it measured a whopping eight feet. 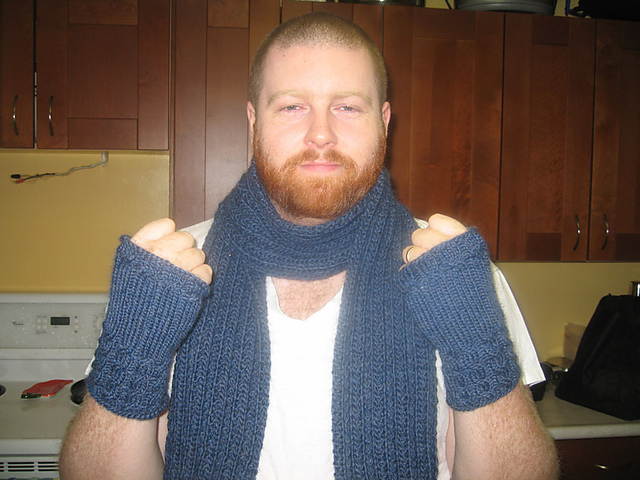 Because I had a whole skein left over after making the scarf, I also made a pair of fingerless gloves for him. Sadly, the parcel didn't make it in time for his birthday. We're still waiting for it to arrive. 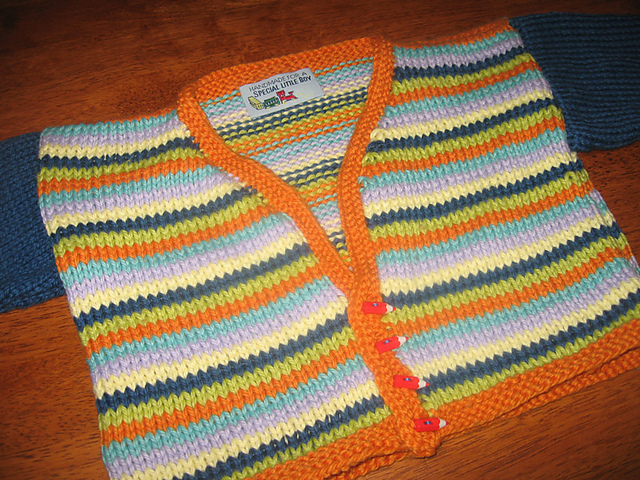 This was the original project for my cousin's baby but I realised that I didn't have time to finish it, and am also expecting, myself, so I decided to turn it into something for my own little one while I opted to make the little sweater for her baby. It's a fair size for a stroller, which is what I'm aiming for, and is made of organic cotton. My lifelong friend and his wife had a baby not long after my cousin. 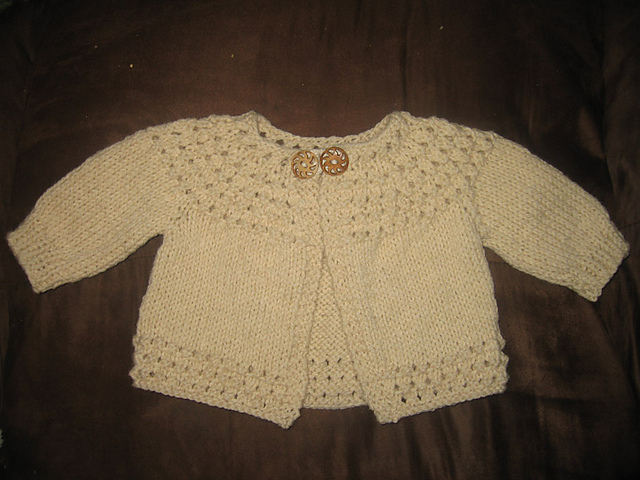 I just couldn't decide what to knit, so even though their son is almost three months old, I made something, anyway. Better late than never. I'll be seeing his wife next month when we both go to our hometown (She lives in Ottawa and I live in Toronto) and I'll hand it off, there. 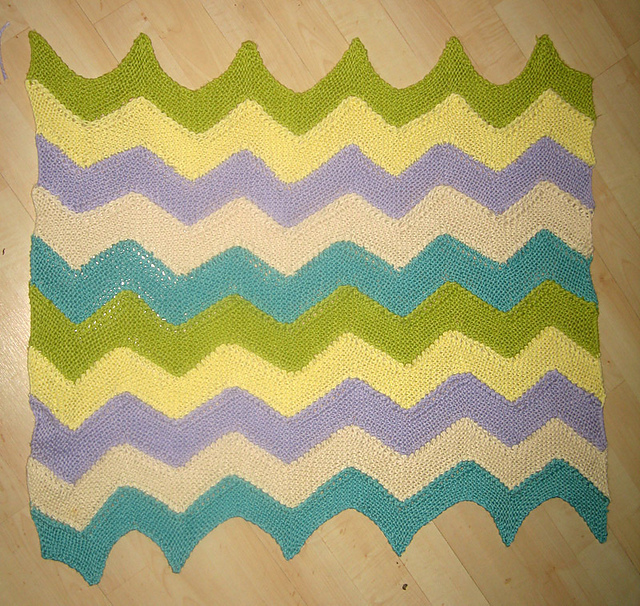 This is made of leftover yarn from the zig zag plus two extra skeins of the same brand of yarn that I had in my stash (which I bought to knit for them, incidentally) It was a really fast knit. I made this same sweater two years ago and it sure as hell didn't take a week to make. So, that's that for my FOs. Quite a few, but not as many as a fast knitter would have made :P I am all set for the knitters frolic and have my options open, as the only thing I have left to finish is a sweater (I started 2 years ago) for my father in law. It's April and I have till the fall to finish it. Sounds like a familiar mentality, as I thought the same things last spring and the spring before, but I think I'm in good shape to finish it, provided I do so before I have the new baby.